Night magic. 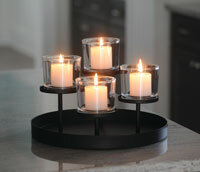 A German company engineered these candleholders crafted of steel with a durable matte black powder coat finish. The hurricanes (3.5”DIA. 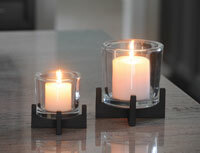 x 3”H) are a heavy clear glass with no air bubbles. 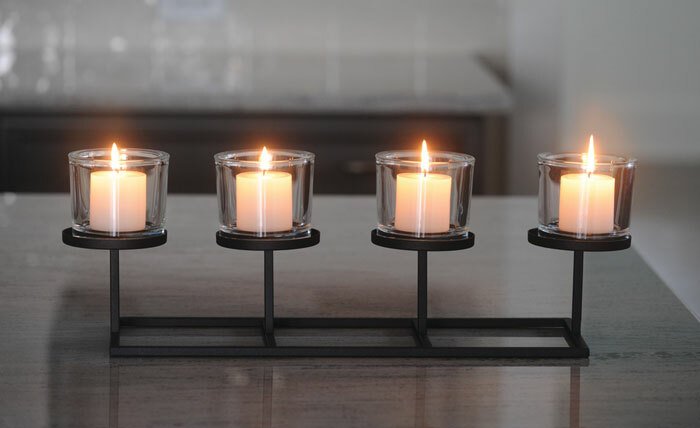 Candles (item #2398) sold separately.